In order for you to grow your business, you need to have a digital marketing strategy that aligns to your overall corporate objectives. We see it time and time again – organizations know they should be investing in marketing, but they don’t know where to begin. They don’t know how much to invest or where to invest. With so much noise out there about digital customer experience, mobile applications, search engine optimization, responsive web design, social media advertising, keyword search, Google advertising, email marketing, social influencers, customer journeys, and finally your more traditional marketing….it quickly can become overwhelming! The fact is – you really need to be doing a little of all of it, but that can be a lot for an organization to take on at one time. 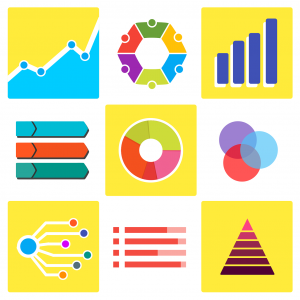 Some organizations turn to marketing automation as a solution. There are literally thousands of marketing technology (MarTech) companies out there claiming their solutions will make it easy for you to automate your marketing efforts. Scott Brinker of chiefmartech.com has estimated that there are over 5,300 MarTech companies as of 2017, up from about 150 in 2011. However, simply throwing technology solutions at your marketing efforts will be costly and inefficient if you don’t have a solid overall marketing strategy. Remember that automating a bad process just simply gives you faster bad. Companies must ask how do we use the digital world to connect and engage with our customers and become more profitable in the process? 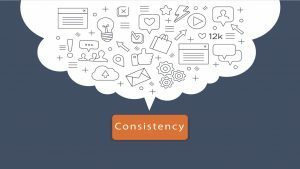 The key part to Gottesman’s statement is “and become more profitable in the process.” If what you are doing with your digital marketing is not helping to drive more business, then you have implemented the wrong strategy or you are not helping your customers to solve whatever problem it is they are trying to solve. If you are making it easy for prospects to find you, learn more about you, experience what it is you sell, and give them an amazing experience along that journey, they will become a loyal customer. And the more loyal customers you have, the more your business will grow. 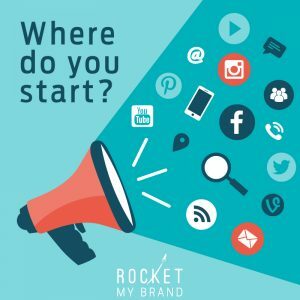 At Rocket My Brand, in order to launch the growth of your business, we recommend to our customers a simple approach focused on three main areas – refreshing your website, establishing a digital funnel and promoting your business via social media and online advertising. Sounds obvious, right? However, the challenge comes in the execution of your digital strategy. If you allocate the right resources, produce consistent and relevant content your customers care about, make it easy for customers to find you, and make it easy for them to get what they need, you can be successful. It’s not rocket science (pardon the pun), but it is also not as easy as it sounds. Every marketing program you launch needs to directly align to the objectives of the program. What are you trying to accomplish? Are you simply trying to increase brand awareness? Or are you perhaps trying to drive more traffic to your website, or more specifically, driving traffic to a particular call-to-action? Before spending a single dollar on any marketing effort, clearly outline the objectives of the program first. Come up with some specific metrics the track the effectiveness of the overall program. Very rarely is a marketing program run perfectly from end to end and most likely you will need to adjust based on the metrics you are tracking. And finally, be sure to identify exactly who your customers are as part of this program. A customer can be either an external or internal customer. It could be a consumer, a donor, a partner, or even perhaps an employee. This is critical so as you start to identify the journey the customer will take throughout the campaign, you can put yourself in their shoes. In order to grow your business, you must have have the right resource allocation between running your business, changing your business, and growing your business. But what is the right mix? Well, a lot of that depends on what your goals and objectives are for your business. Obviously, the more aggressively you want to grow, the more aggressive that mix should be. However, although this is ultimately something you must decide, there are some general guidelines you can follow based on your yearly revenue. Specifically, let’s look at how you can determine an appropriate marketing spend. 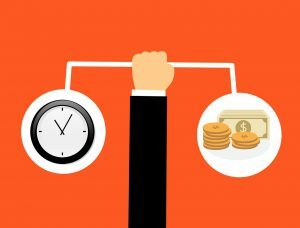 Traditionally, many Chief Marketing Officers (CMOs) still depend on basic budgeting techniques such as rolling the previous year’s budget into the current year and making small adjustments. Depending solely on historical data is a big risk and usually does not take into consideration the current corporate goals and objectives. 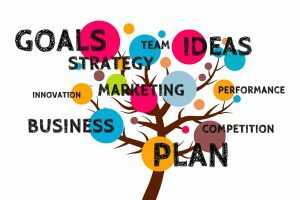 As we stated in the beginning of this article, everything must align, including budget allocation, for your marketing efforts to be most effective. Instead of traditional methods, consider implementing a zero-based budgeting (ZBB) model, which essentially means building a new budget annually based on the current and future needs of the organization as a whole. Even more than a budgeting methodology, ZBB is also about building a culture of cost management. McKinsey & Company, a worldwide management and consulting firm, advocates that ZBB is successfully used by growing companies to redirect unproductive costs to more productive areas that drive growth. ZBB allows organizations to redirect unproductive back-office costs to more customer-facing activities. ZBB is successfully used by growing companies to redirect unproductive costs to more productive areas that drive growth. Research has shown that most successful organizations spend between 5% and 15% of their total gross revenue on marketing efforts. For example, Gartner, one of the world’s leading research and advisory firm, releases an annual report on how much CMOs are spending on marketing. In their 2017 report, Gartner claims marketing budgets averaged to 11.3% of company revenue, slightly down from 2016 spend amounts. Although some particular industries spent a lot more (Education – 18%), while others spent way less (Construction – 2%), the average was still around 11%. So, just for the sake of simple math, let’s use 10% as the magic number in an example. If your yearly revenue is $1,000,000, it is recommended that you spend anywhere between $50,000 and $150,000 on your entire marketing efforts. This number includes everything from advertising to staff. In addition, it is recommended that you spend approximately 65% of your marketing budget on digital marketing. So sticking with our example, if your total marketing budget is $100,000, it is recommended you spend approximately $65,000 on digital marketing specifically. And digital marketing can include website development, hosting and support, content creation, social media management, search and social advertising, email campaigns, strategy and analytics…and the list goes on. You have to make that $65,000 go a long way, so being strategic with the investment is absolutely critical. It is important to note that, traditionally, smaller companies have had to spend even more on their marketing than larger companies due to the fact they do not have extensive brand recognition. Again, these are merely guidelines. But it should at least give you a framework to determine how much you want to spend if you want to grow. Providing an excellent customer experience has always been a key component for attracting and retaining customers. However, with customers today having more and more options and power at their fingertips, it is more critical than ever you provide the right customer experience at the right time for each and every type of customer. Let’s start first with a definition of customer experience. HarvardBusiness Review (HBR) defines a Customer Experience (CX) as the quality of all of a consumer’s encounters with a company’s products, services, and brand. 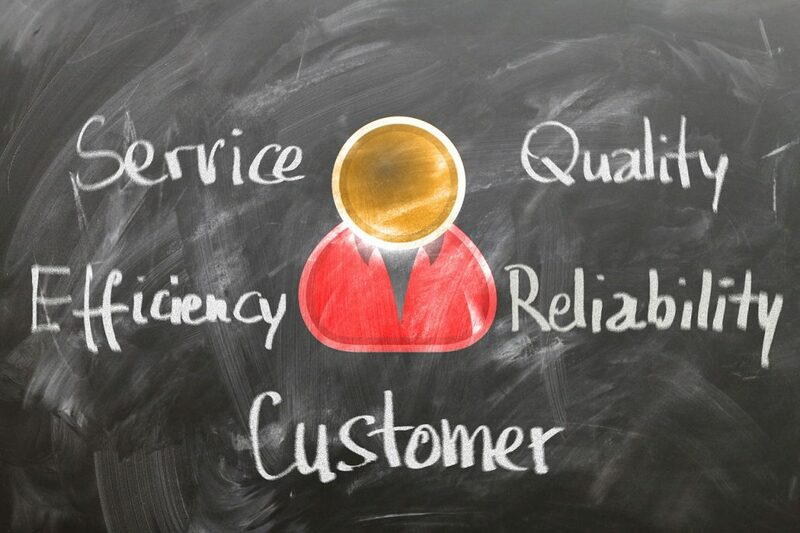 Do you feel like your organization is providing a quality customer experience? Well, you might think so, but that does not necessarily mean that your customers feel you are. As a matter of fact, some research done by global consulting company, Bain & Company, has shown that although 80% of the companies they surveyed believe they are delivering a superior experience, only 8% of their customers agree. Although 80% of the companies surveyed believe they are delivering a superior experience, only 8% of their customers agree. The fact is, in order for you to provide a quality customer experience, you must become a customer-obsessed organization and look at everything from the customer perspective. Put yourself in their shoes and truly understand what they are trying to accomplish when they interact with you. More specifically, we are talking about providing the highest quality digital customer experience at every point along a customer’s journey. We call this the digital funnel. Learn more about our Digital Funnel services. The first step in the digital funnel, and undoubtedly the most important, is making it easy for customers to find you. Today customers are not hanging out on your website looking at your information. They are out on social media, out on search engines, doing research on blogs, reading reviews, and looking for information that will help them solve whatever particular problem they are trying to solve. Once you have their attention, the customer then wants to learn more about what it is that you do and offer. This is where your campaign becomes critical as you must ensure that you are driving a customer to information that they want and that will help solve their problem. Most likely this can be some kind of landing page, or long article, or even something specific like a donation page. Regardless, your goal is to bring them back to your website, which is where research shows 67% of people like to engage with brands. Your website is the window into your brand. Maintaining a quality website continuously enforces that your customers are in the right place and that you value them! 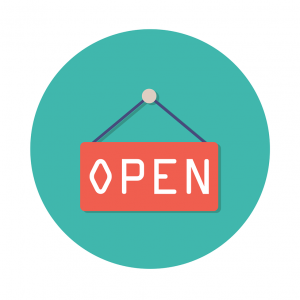 It shows you are open for business! There are several components that make up a positive digital experience for those that visit your website and also assist with search results. So why is all of this important? Well, for one, the way search engines rank websites has changed. Today, using artificial intelligence, search engines are making it less about what words you have on your website and more about whether or not you are providing a quality customer experience. Although nobody knows exactly how Google’s search algorithm actually works, some research shows there are several key search ranking factors you need to consider that should help your search results. At a minimum, if you are not doing these things, it is possible you will be further down in most search results. Hyper Text Transfer Protocol (HTTP) is the technology protocol over which data is sent between a customer’s browser and your website. HTTPS is the secure version of the protocol and means that all data being sent between the browser and your website is encrypted. If your site does not have this layer of security, it is a possibility your search results will be impacted. In 2018, Google began ranking websites based on whether or not they are easily viewed on smartphones. This does not mean that as long as your site “fits” on a screen that it is mobile-friendly. If a user has to pinch-and-zoom in order to see something on your website, it is not mobile-friendly. Your website should incorporate what is called responsive design, which means that a user will have a good experience regardless of the device they are using. Research has shown that if a website page does not load within at least three seconds, more than 53% mobile users will abandon the website. There are several things you can to help ensure your pages load quickly including having your site hosted with a quality hosting provider. Yes, there are cheap alternatives to major providers like Amazon or Microsoft, however you should not skimp on performance either. Also, make sure that the images on your website are optimized and are not too large in size. Believe it or not, using artificial intelligence, Google can now scan your site and determine not only what keywords and topics make up the content, but it can also determine if your content is actually relevant and consistent. So now, more than ever, it is absolutely critical that you are providing quality content that serves a purpose. You must pick topics that your customers are interested in and become the authority in those topics. 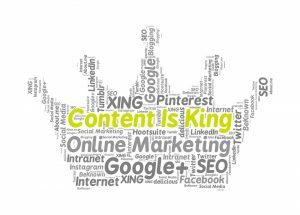 Do not underestimate how quality content can increase traffic to your website. Some statistics from an Aberdeen study show that content marketing leaders have approximately 7 to 8 times more traffic going to their site than those that failed to provide quality content. And quality content does not have to mean just words. 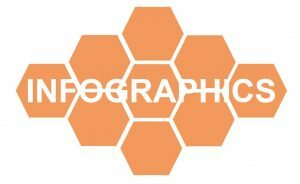 As a matter of fact, it is extremely effective to provide related media such as quality photos, videos, and infographics. And finally, include hyperlinks that not only point to other internal pages related to the same content, but also to external resources. In addition to the quality of your content, the length of your content can also have an impact on your search results. Some Studies have shown that content pages that get the best search results include approximately 2,500 words. Will you recommend using techniques such as creating content clusters and pillar pages to make it easy for your customers to get information about the topics at which your brand is an expert. Year-over-year growth in unique site traffic is 7.8x higher for content marketing leaders compared to followers. In addition to the quality of your content, the length of your content can also have an impact on your search results. Some Studies have shown that content pages that get the best search results include approximately 2,500 words. We recommend using techniques such as creating puppet clusters and pillar pages to make it easy for your customers to get information about the topics at which your brand is an expert. And although it may seem obvious, it is important you are out on social media posting information related to your core content on your site. Use social media to provide snippets of information and make it easy for customers to go directly to your pillar pages to get additional content, if they want it. It is critical you post relevant information based on your core content as it will signal the search engines that you are an expert in these areas and hopefully increase your ranking when people search for those topics and keywords. According to some research, using a search engine is still the #1 way people find content they are looking for, with Facebook not being far behind. That said, the one thing that has changed over time is the way people search. No longer are people searching using a single word (e.g. “restaurants”). Instead, they are searching using four or five words and are using words that are very specific to what they are trying to accomplish and where they are (“Best Japanese sushi restaurants near me”). Some research shows that more than 50% of searches today include four words or more. And because the search engines are “smart” enough to understand the context, they are going to come back with results that they feel are most relevant to the context of the individual’s search phrase. Knowing this changes the way you need to think about search engine advertising. Before launching any Google Adword campaign, you must first research and figure out how people are actually searching for the services, products and information you provide. And because the way people search is constantly changing, you cannot simply launch a campaign and assume it is going to continue to be effective. You must constantly try new keywords, monitor the results and adjust your campaigns to get the most out of them.